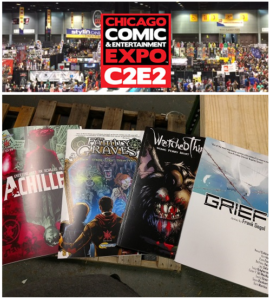 Pullbox Spotlight: Source Point to Unveil New Titles at C2E2! Comics Experience, a creators workshop, and we now are unveiling the product of this marriage at Chicago’s C2E2! & meet our amazing creators! CLICK HERE to Read Comic synopsis!